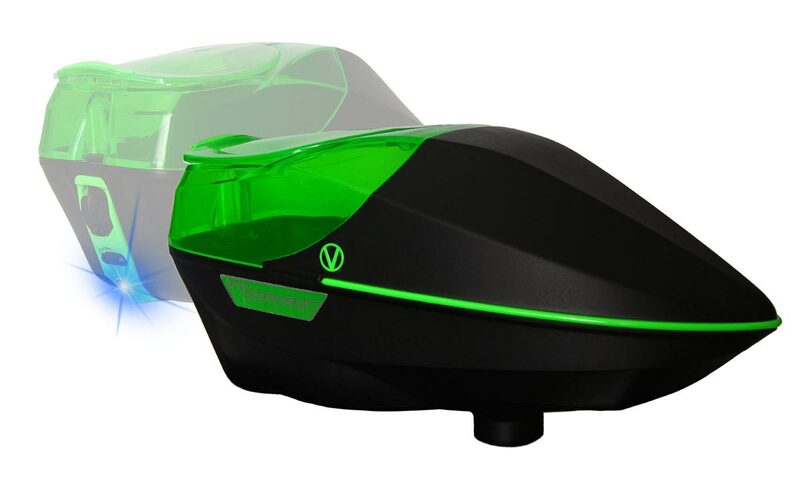 Paintball guns and gear product reviews. We review all of the top paintball gear in the market including masks, guns, loaders, paintball clothing as well as safety gear and paintballs. Every Year empire comes out with a limted edition version of the axe. This years version is the Carbon Fiber Axe Pro. The Axe pro includes the Infamous Empire Redline foregrip as well as a special freak barrel back along with a carbon fiber barrel tip. This Axe is outfitted just like the pros have won tournaments. Along with the Spire 260 that was released by Virtue at D-day this year, The Spire 260 replacement shell was also released. Now you can upgrade your spire to hold a true 260 rounds of paintballs. 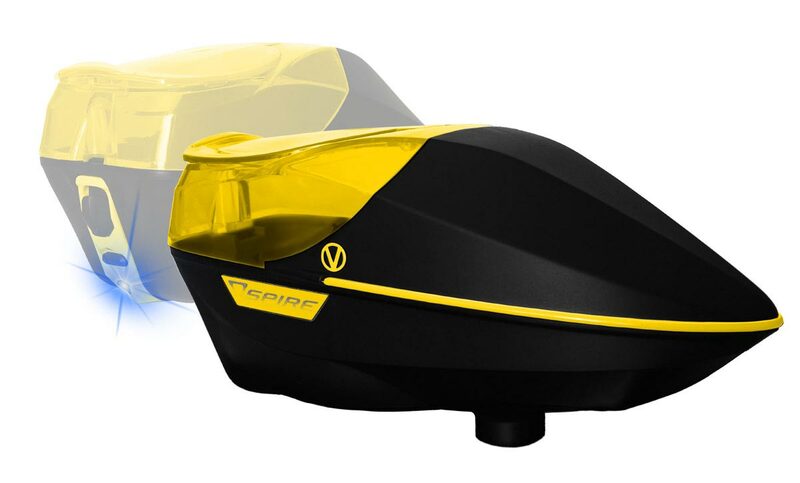 The shell is not cheap at 54.95, but much cheaper than buying a whole new hopper. Install is pretty quick, prob 15 minutes at worst. 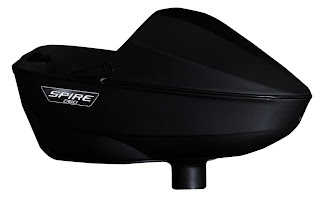 The Virtue Spire 260 Replacement Shell is only available in black at this point, but i wouldn't be surprised to see some camo colors down the road. a 14 inch tip) so you'll always have the right barrel to match your paint. Initially there will be two colors available, black and black / grey. Hope you remember how to time a cocker cause your gonna need it for the resurrection. Pricing is 549.95 which is prob a little expensive for this gun, but on the other end you get a complete barrel kit and alot of work went into this gun. Check out the resurrection autococker at Zephyr Paintball today while supplies last. The long awaited 2013 version of the ego is set to be released in late april. 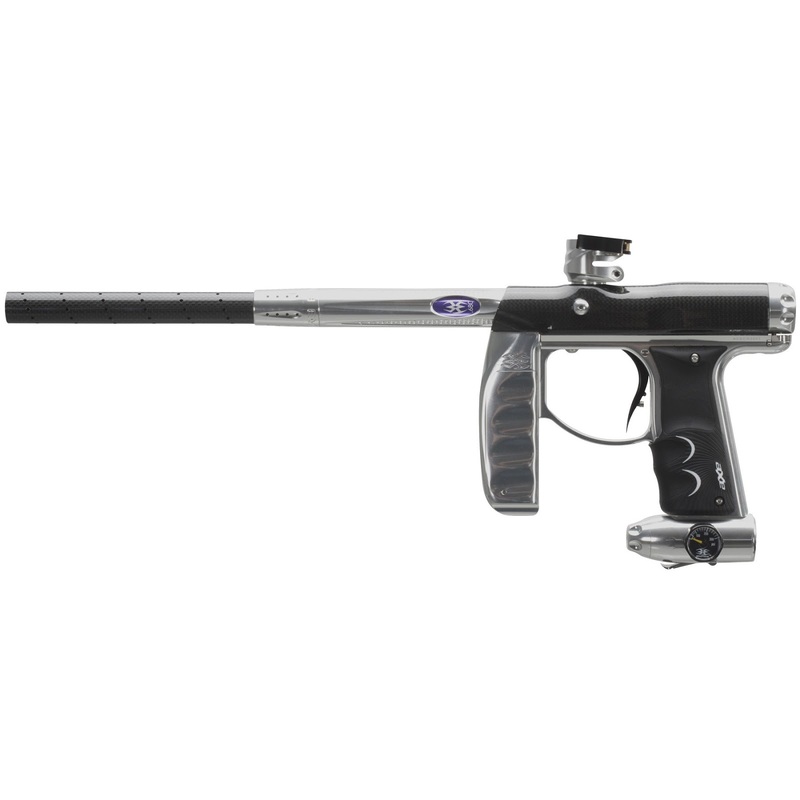 The LV1 is the first lever valve operated paintball gun. 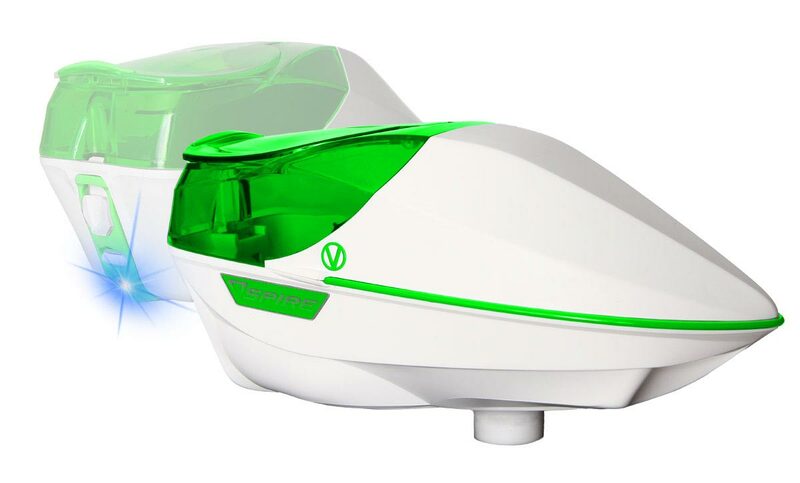 The Ego LV1 has a groundbreaking design that changes how a tournament level marker operates. 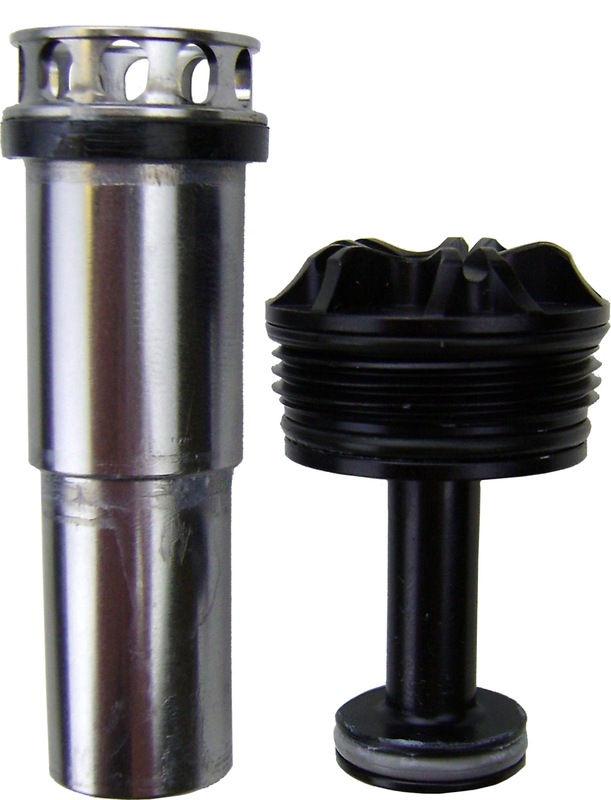 The Lever valve uses a cam shaped lever between the rammer and the exhaust valve to isolate the action of each. The Lever reduces the force required to open the valve. This allows the new LV1 to shoot the most brittle paint while using the least amount of air possible. Say goodbye to macro line leaks. The Ego LV1 uses an air transfer pipe system. Standard macro line hoses and fittings are notorious for leaks. The new Pipe system routs the gas through the grip frame directly to the front Regulator. The latest version fo the zick kit is incorporated in the LV1. 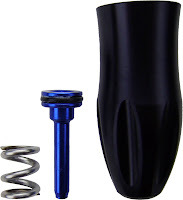 The Zick 3 uses a longer stroke. The LV1 also uses a staged acceleration allowing for a slower start while still providing the appropriate velocity at the end of the stroke. While you may thing this would effect firing rates, tests are showing 20+BPS which is more than is currently allowed in any league. The LV1 operates with a LPR pressure of 65-80psi with the HPR providing 120-135psi for firing. Any compressed air tank will run with the new ego as it works with 300-800psi. 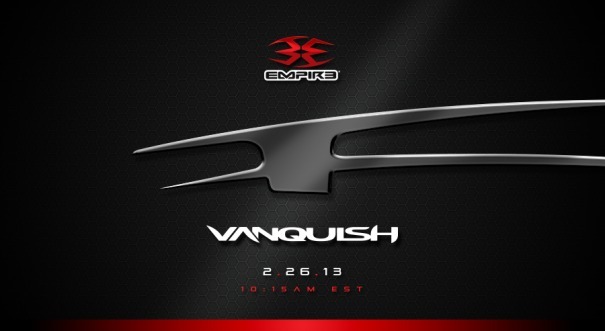 Empire will be releasing there new high end tournament marker shortly. The Empire Vanquish has been seen in various posts around the web, but specs and pricing have yet to be released. Check back 2/26/13 for pricing and presale information. Tired of just black and white? Virtue has just released the Spire in 12 new colors. 6 Based on Black and 6 based on white. The secondary colors are Blue, Red, Green, Yellow, Orange, Purple. If you can't find a color you like now you may have some issues. 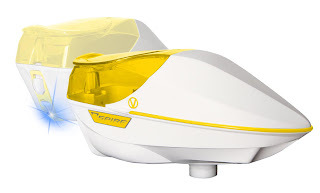 The Spire is the hottest new loader in paintball at this point. Ranks right up there with my prophecy Z2 and rotor. Feed rates are amazing and the hopper is small and lightweight. I'm also yet to get a feed jam. The shape is a little boxy and built more for function over form. But you certainly cannot complain about the performance and durability of the Spire. The Virtue Spire has two version of the Crown 2 speed feed available as upgrades including one with spring fingers. For all you Dangerous Power fans out there, The G5 is coming and should begin shipping this week. The G5 will be a hoseless design, No more macro line issues with this one. Pricing will be $329 with a handful of colors available upon release. The Riptide regulator on the G5 has been completely redesigned. With only 7 stationary O-rings, maintenance is a breeze. I haven't received any estimates as far as how many shots the G5 will get off of a 68/4500 tank but will give everyone an update after testing.